A southern Vermont man is at the center of a bizarre story involving a doomed fishing trip off the coast of Rhode Island. Nathan Carman, 22, who lives in Vernon, made it ashore alive after spending a week adrift in the ocean aboard an inflatable life raft. His mother, 54-year-old Linda Carman, remains missing — and is presumed dead. 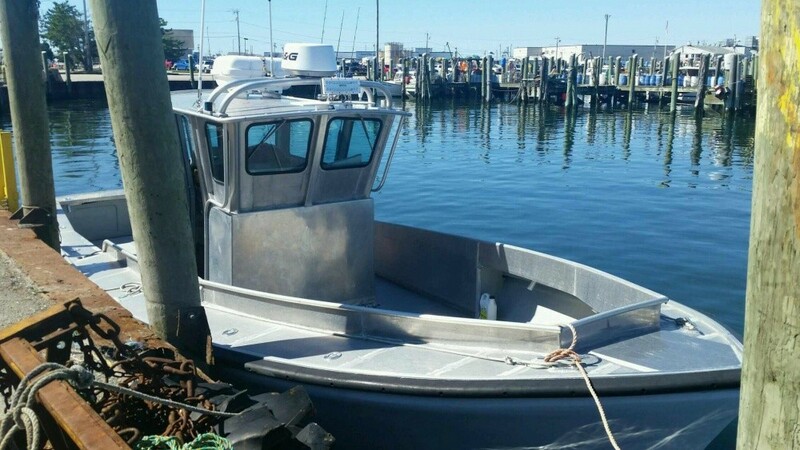 On Monday, police searched Carman’s home, looking for evidence that he knew the boat was unseaworthy before he took his mother out on a deep-sea fishing expedition, according to a warrant obtained by WVNY/WFFF-TV. Such evidence would support a charge of “operating so as to endanger, causing death,” the warrant says. Carman was once a suspect in the still-unsolved 2013 murder of his 87-year-old grandfather, who was gunned down in his Connecticut home, according to the Hartford Courant. Carman was the last known person to see John Chakalos alive. Reports say Carman has Asperger syndrome, the developmental disorder. The U.S. Coast Guard brought Carman to shore Tuesday in Boston, two days after a passing freighter, the Orient Lucky, spotted him and plucked him from the water some 100 nautical miles south of Martha’s Vineyard. Carman told the Coast Guard that he and his mother encountered engine trouble a week earlier aboard his 31-foot center-console boat, named the Chicken Pox, while out in Block Canyon, a deepwater fishing spot 100 miles from where they left shore in Point Judith, R.I.
“No, we have not been able to find her yet,” Coast Guard search and rescue controller Richard Arsenault replied in an audio recording of the call released Tuesday. On Monday, police seized from Carman’s property a SIM card for a GPS unit, a letter he wrote and an internet modem, according to a Windham County Sheriff’s Office warrant. A neighbor told Seven Days on Tuesday that Carman, who moved to Vernon nearly two years ago, was “real odd.” Maynard Rounds described Carman as a loner who slept in his truck while renovating the old two-story farmhouse on his Fort Bridgman Road property. Carman added two stories to the structure, and may have wanted to turn it into a bed and breakfast or a rental property, said Rounds, 76. His neighbor would frequently put himself in precarious situations while working on the home, Rounds added. Despite living just 600 yards apart, the two neighbors had only spoken two or three times since Carman moved in. They had had a “misunderstanding” about a year ago, Rounds recounted. Rounds called the sheriff to check on Carman’s welfare after not hearing his normally noisy neighbor for about a week. “The first thing that come to my mind was that maybe he’d finally had that accident, maybe he’s over there laying on the ground, dead as a crow,” Rounds said. The sheriff investigated and discovered Carman was visiting friends or family in Canada, Rounds said. But the fact that his neighbor had called the cops upset Carman, Rounds said. Carman returned home to Vernon Tuesday night, accompanied by his father, according to news reports.